Click the images below for a preview of each novel and a download link! Dare to Dream was never meant to be a book. I started writing it when I was bored one evening, but wasn’t ever contemplating writing the whole thing. Then two years ago, at five o’clock in the morning, I received the awful news that the world had lost a beautiful young woman in a tragic accident. I met Marley Sirjane at summer camp in the USA, where she bunked in my dorm from the age of 12 to her last summer when she was 17. During this time I had the privilege of watching her grow into a remarkable and beautiful young woman. 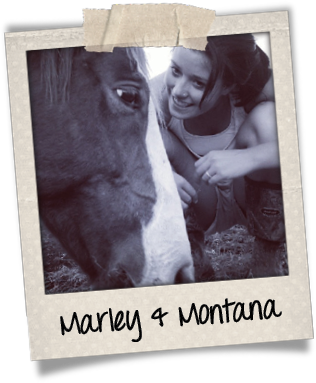 My strongest memories of Marley involve her bond with Montana, a headstrong, often misunderstood mustang. Marley loved him, understood him and accepted him for exactly who he was, and never tried to make him be anything else. The last conversation I had with Marley, a day or two before her accident, was her excitement that she had just bought Flying Changes, and couldn’t wait to read it. I don’t know whether she ever got the chance. When I went back to writing a few days later, Marley was still on my mind, and she became the leading character of Dare to Dream. I firmly believe that I did not write this book alone. Not just Marley’s name but her spirit shines through on every page, and I hope that everyone who reads it can take away a sense of what a wonderful young woman she was. She will be forever missed by all who knew her, and I wish to thank her family and friends for their encouragement and support in writing these books, and allowing me to dedicate them to Marley’s memory. Their blessing means everything to me. I have been back to the camp since Marley’s passing. There is an apple tree planted next to the main riding ring in her memory, and on my first evening back I went up there and sat down next to her as the sun went down. The sky slowly turned pink as I sat with her, speaking softly and thanking her for coming along on the journey as I wrote Dare to Dream. Then we sat in silence for some time, before a huge flock of birds came overhead. They swooped and turned and flew back and forth in perfect, chaotic formation, and then all of a sudden, as one, disappeared into the woods…and I told her what our camp directors always reminded the girls who didn’t want to leave the farm, that perfect haven of horses and the girls who love them. It’s not goodbye. It’s just see you later. Cover photos by Kelly Wilson.